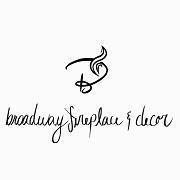 Broadway Fireplace & Decor is locally owned and operated. We proudly serve all of Central Ohio and the surrounding areas. For your convenience, we offer free estimates. Also with Broadway Fireplace and Decor is Kickin Ash Chimney Cleaning, From rebuilding your chimney to tearing it down Kicking Ash Chimney Service can help you with all of your chimney needs. We are a certified vendor for Majestic, Vermont Casting, DutchWest, and Regency. We have all the hook ups you need for a gas stove, fireplace insert, or wood burning stove. Let us do a regular chimney sweep and inspections to lower your risk of a fire in your home. Call us today at 740-688-9363. Servicing Grove City, OH and surrounding areas.